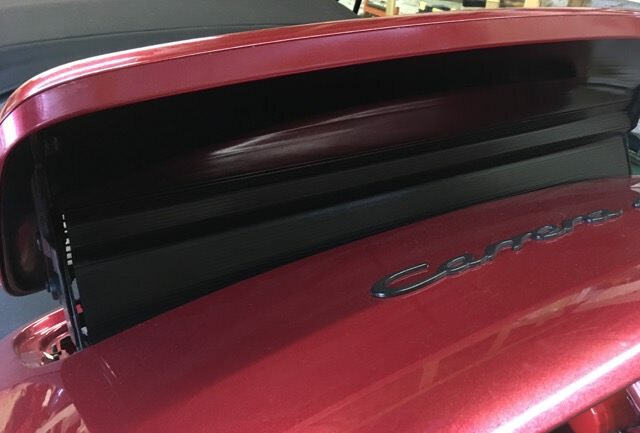 911uk.com - Porsche Forum : View topic - Failed spoiler motor? 911uk.com Forum Index > 964 (1989 - 1993) > Failed spoiler motor? Posted: Sat Mar 03, 2018 5:07 pm Post subject: Failed spoiler motor? Rear spolier has been playing up. Was working intermittently. Occasional warning light on dash. But hasn't worked for a couple of weeks. It now goes up and down (when I power it from my drill) silently. So far so good. Replacement ones seem to be north of £300! Isn't the spoiler linked to a ABS speed sensor on the rear left wheel? Could be a dirty contact? Speedo works fine. Fuse OK.
Have you checked the micro switches? The motor is toast. Tested it via a spare 12V battery - nothing. So I've bought a very reasonably-priced, used replacement from a fellow Rennlist-er in the US. Should be here in a couple of weeks - will report back! Just fitted the replacement motor - bingo, works perfectly!